People affected by anorexia have a psychiatric disorder that distorts their view of food and eating. Anorexia starts with the need to control body weight – people who have been previously obese, and lost weight to become healthier, sometimes can then not adopt a healthy eating pattern and continue to lose weight. Other people start off at a low weight, and seek to control their body to attain perfection, which they see as being extremely slim. 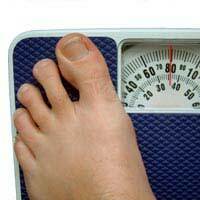 People with severe anorexia see themselves as still fat when they have become skeletal and are dangerously ill. The impact of anorexia on the body is devastating. On average, an anorexic can take 5-6 years to recover from their illness with intense support and treatment, so the process of starvation continues over a long period. There are many severe, long-term complications on different organ systems, including the heart. People with anorexia are in danger of an early death, either from suicide due to the depression and mental disorder, or because they suffer from heart disease due to starvation. One of the earliest effects on the heart is a change in heart rhythm. The heart muscle becomes less efficient and the electrical pathways that control heart rate are affected, and the heart slows down. A normal resting heart rate for an adult of normal weight is 60 to 100 beats per minute but the heart of someone with severe, and long-lasting anorexia is usually well below 60. Medically, a slow heart rate is referred to as bradycardia. As the heart works more slowly, this means that blood flow around the body becomes slower. It is common for anorexics to also have lower blood pressure than normal, which can lead to fainting, dizziness, light headedness, and general weakness and lethargy. As body weight in someone with anorexia falls to dangerously low levels, the body not only digests skeletal muscle to take the protein that this contains, it also starts to digest heart muscle. These reduce in size, becoming weaker. The lack of nourishment also affects the way the muscles work because it changes the balance of electrolytes in the blood and in the muscle tissue. Both skeletal muscles and the smooth muscle in the heart contract and relax and this process is controlled by changes in calcium, potassium and sodium in the muscles and in the nerves that supply them. Starvation disrupts the normal balance of electrolytes in the body and the muscles can no longer contract effectively. The problem also occurs in bulimia, where it tends to be worse because of the effect of repeated vomiting. Once an anorexic has started to experience heart problems, close monitoring of their condition is even more essential. When the heart rhythms are disrupted and heart rate has dropped below 50 beats per minute it is unwise for someone with anorexia to do any exercise that puts the heart under pressure. It is even dangerous to drink large amounts of caffeine, either in strong coffee or in diet drinks, as either can cause the heart muscle to contract very arrhythmically, causing cardiac arrest. As many anorexics do drink large amounts of diet drinks, and often also exercise obsessively to keep their weight down, this can become a real danger to their life. It is important that anorexia is treated by a team of specialists, who advise the person affected and the whole family. When the heart has already been affected by the state of starvation induced, it is dangerous to suddenly take in large amounts of food, particularly concentrated glucose as the electrolyte imbalance can suddenly become much worse. Treatment involves gradually increasing the amount of calories taken in, reducing the obsessive level of exercise and eating healthy foods, containing protein and complex carbohydrates. Counselling and psychiatric treatment, sometimes with drug treatment, is often necessary to allow someone with anorexia to accept this and to start moving towards a safer body weight. The article is interesting however the insensitive nature of displaying a fashion advert in between the article of petite women is truly jaw dropping.